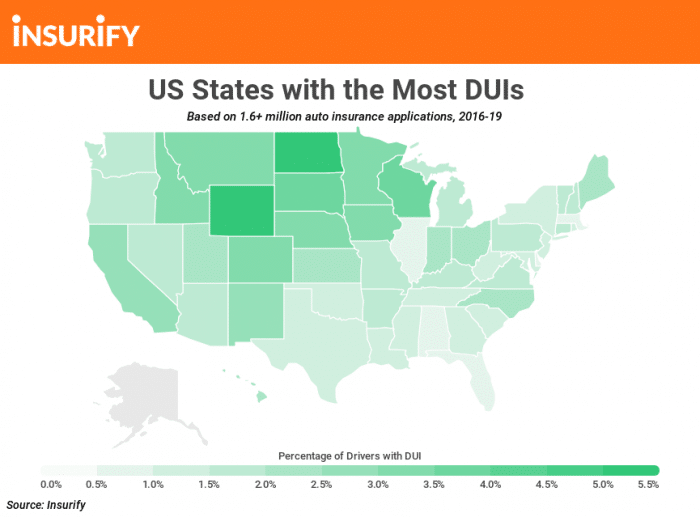 North Dakota, the Roughrider State, comes in at the top of the ranking, with almost 6 percent of drivers reporting a history of DUI. Unsurprisingly, it is also the state with the highest percentage of alcohol-related driving deaths—nearly one in two traffic fatalities statewide can be attributed to drunk driving. To fully seal its place at #1, North Dakota is also the top state for excessive drinking across the country.